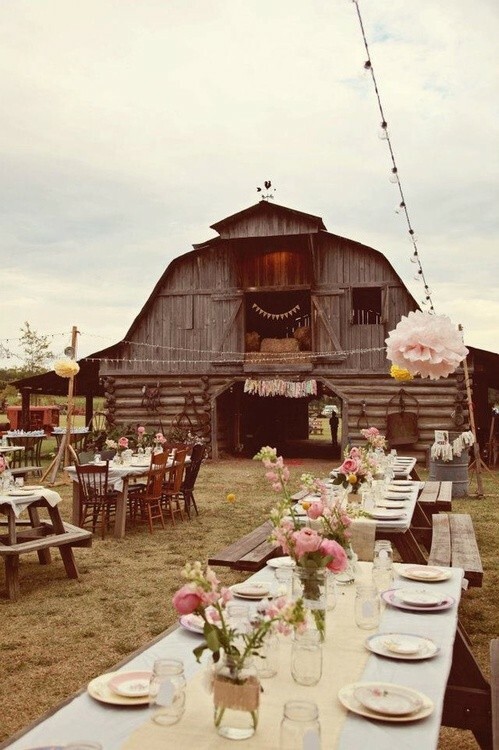 If you are planning a country-themed wedding you have a chance to showcase a casual theme with a bit of sophistication if desired. It also gives you a chance to use some of your family heirlooms and traditions in a most beautiful and special way. 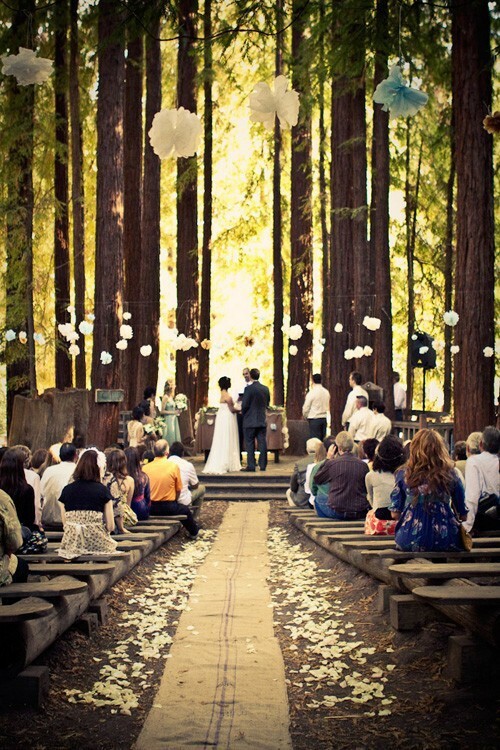 A country wedding can be a green and money-saving theme as there are a lot of DIY country wedding ideas you can use and still have a "just right for you" wedding day. One thinks of a country church, barn, old farmhouse, a meadow or field as the right setting for the day. If you are planning an outdoor wedding be sure to plan a rain location in case the weather doesn't go along with your plans. Maybe just have a tent reserved in case it does rain and you need to move indoors. Start with a burlap aisle runner which you can find on the internet at a number of sites. There are country-themed ring bearer pillows to carry your rings down the aisle. If you are having a unity candle ceremony you can also find country-themed candles and holders on the internet. The pew or aisle chair decorations might be burlap bows with small country flowers or tiny stalks of grain stuck into each bow. A small bunch of country flowers tied with a gingham or other country-like ribbons. 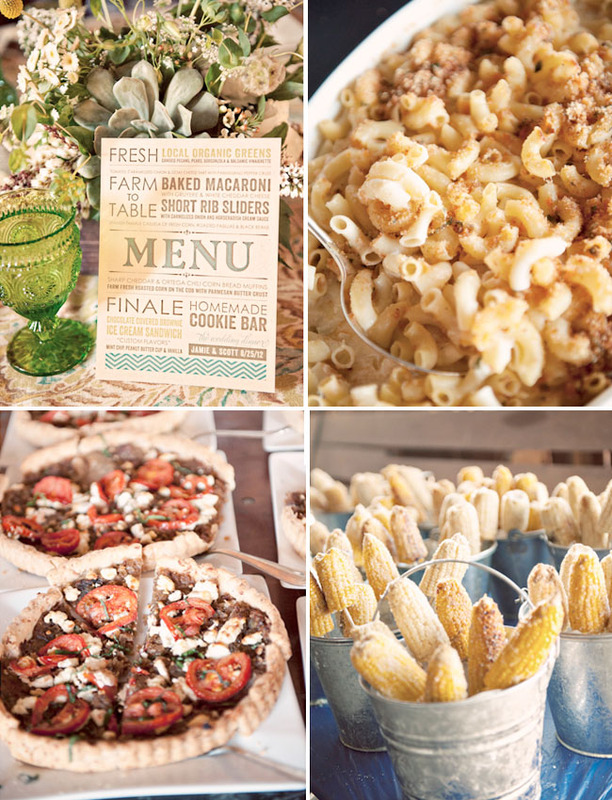 A reception with a country theme is a really casual and fun way to give you and your guests a grand time. Make a trade of heels for a great looking wedding cowboy boot and start the line dancing. You can surround the dance area with bales of hay which guests can use as places to sit between dancing or just to relax. Your tables set with checkered clothes and napkins tied with bailing twine and wild flower tucked in it is a perfect look. For your traditional country food include BBQ, fried chicken, grilled hot dogs and burgers. Side dishes might be potato salad, baked beans, corn on the cob and homemade rolls or bread. Of course, the wedding cake is a must, but add to it choices of homemade pies and cookies as an extra treat. 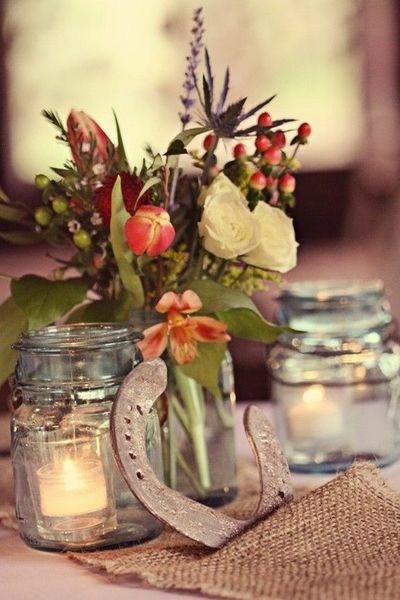 Place decorated horseshoes as centerpieces with a pillar candle set in the center. 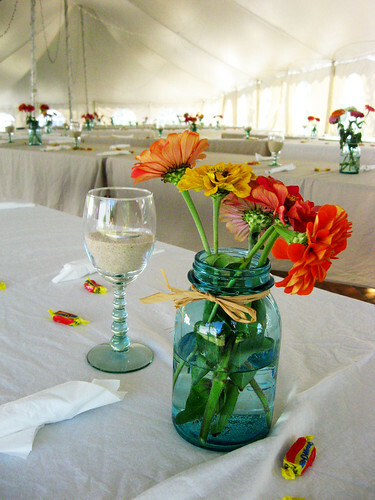 Fill mason jars tied with strips of burlap with bright flowers. Popular are sunflowers, dahlias, daisies, stalks of wheat or other grains and you probably have your favorites, too. Think of all the wonderful things you can do for your favors such as colored fans, if the wedding is out of doors, to cool your guests during the day. Homemade jams, preserves, honey and candies would be so welcomed by your guests. If you are known for your special cakes or cookies, that would be a neat thing to do. Make mini cakes and put them in an attractive box or cookies in a little basket and wrapped in gingham. You can fill tiny cowboy hats with sweet treats and put at each guest's place at the table. Use your creative ideas to think of what you would like to give to say "Thanks for coming." You can hire a country band or DJ for your music and be sure you let them know what you want played and if they can play it. Give them a play list of songs you would want them to include. Also plan some outdoor entertainment like horseshoes and/or crochet if that can be set up for adults to enjoy. Plan children's activities for your young guests who will be attending so they do not get restless. It would be fun to have vintage car or truck as props if you know someone who would lend it to you for the day. 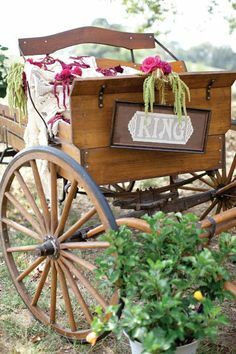 Another idea would be to have a wagon filled with hay as decor and for fun. Make your very special day one that is romantic, full of fun and so very special to remember for you and your guests.